Arvonia Inn, a.k.a. Arvonia Hotel | slate river ramblings . . . . 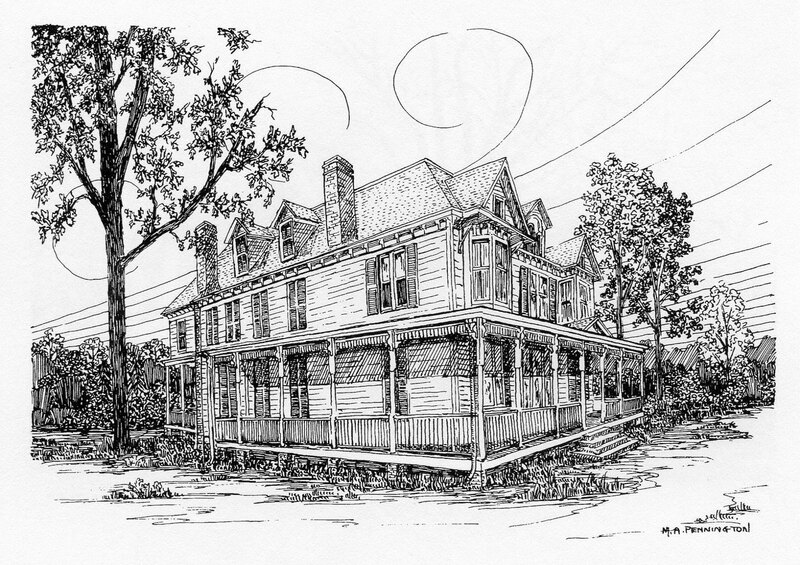 According to Margaret A. Pennington and Lorna Scott in “The Courthouse Burned—“, Book II, the “Arvonia Hotel” was built by Mr. Arthur Pitts c. 1895. In 1906, however, A. L. Pitts of Arvonia advertised in Richmond’s The Times-Dispatch for bids to build a hotel at Arvonia. Was there more than one hotel built by Mr. Pitts? The authors continue that the hotel was run first by a Mrs. Wella, followed by Mrs. Eula Fuqua, a music teacher in Arvonia. Residents included Dr. and Mrs. Perkins Glover and Mr. and Mrs. Plummer Jones while they waited for their homes to be built. On the 1910 census, T.B. Weller, merchant, and his wife, Ida L. Weller are living near the hotel. Could she be the woman remember as Mrs. Wella? Plummer F. Jones, Presbyterian Clergyman, and Perkins Glover, Physician, are enumerated nearby as is Mary Cobbs, an African-American servant at the hotel. On the 1920 census, Eula Fuqua is enumerated near Arthur L. Pitts. Norman Hughes, age 23, is enumerated as the hotel clerk. Does anyone know who Mary Cobbs was or her family? I remember visiting Mrs. Plummer Jones as an elderly widow living in New Canton. She was well-educated, very polite, and warm and friendly. I am sorry I don’t know her children..In recent years I rode past her lovely home which now seems vacant and neglected–a signal to me that she is gone. This was very sad. Plummer Jones was a friend of my Grandmother Holman’s (Ellie Hooper Holman–originally of “Hooper’s Mt.,” near Arcanum). She and Mr. Jones were memebrs of New Store Presbyterian Church–and very good friends. In my father’s day, Mr. Jones always stayed with my grandparents when in the neighborhood of Cartersville. He remembered those visits very fondly. My father’s sister presented to me some years later the memorial service held in his honor at Trinity Presbyterian Church. This event revealed that at his death he was the oldest member of Phi Beta Kappa (he went to William and Mary, I believe) in the country.